One P is committed to being transparent around our sizing, reflecting real measurements, rather than the commonly used vanity sizing by the fashion industry. Our launch collection is based on standard pattern block sizing used across design schools in Australia. Longer term we are building a database of real women’s sizing and are committed to reflecting this in our designs and labelling and creating a better guide to sizing for our customers. To select the garment that will fit you best, we encourage you to measure your bust, waist and hips and match to our table below. 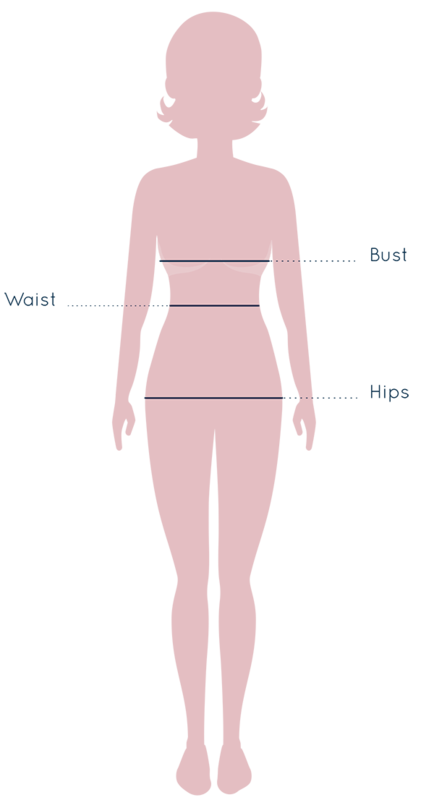 The measurements are a guide only and depending on your unique body shape and the garment design, may not be a true reflection of the garment fit. Should your selected size not fit you perfectly, One P will exchange for another size for free.